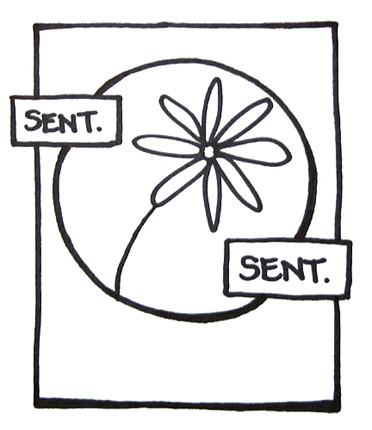 Today there is another great sketch at Skipping Stones Designs for the Sketch Challenge, designed by Chan Vuong. My card features the snowflake image from Rustic Tiles, along with a doily, glitter glue (! ), patterned paper and some really pretty ribbon from Creative Impressions. 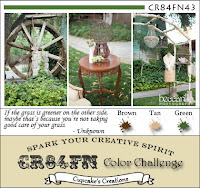 The color inspiration came from the latest CR84FN Color Challenge, a fun twist on holiday colors. Please head on over to the Skipping Stones Design Blog to see the wonderful inspiration from the design team and guests! He hadn't eaten for almost two days when he went to the Dixie Diner and ordered a big breakfast, then acted as if he had lost his wallet...The owner of the diner, who also was the waiter and cook, came over near the stool where [he] had been sitting and picked up a $20 bill off the floor. "Son, you must have dropped this," he said. "It was like a fortune to me," [he] says. "I said to myself, 'Thank you, Lord.' " He paid for the breakfast, left a tip, pushed his car to a gas station and left town. Then it dawned on him: Nobody had dropped the money, but [the man] had helped him out in a way that wouldn't embarrass him. "Right then, I just made a promise. I said, 'Lord, if you ever put me in a position to help other people, I will do it.' "... "
I couldn't help but grin when reading about the origin of the real Secret Santa-he shares what gift giving is all about and the fun that anonymity brings. Me (to the husband): You know, I've never cooked a turkey. Do you want me to try for Thursday? Husband (to me, with a worried expression): No, we can just have chicken patties. Me (with a disgusted look): What? No way! I'll try to cook a turkey. Husband (with an aha moment): Let's just grill steaks, ok? Me (relieved): Yes, that will be fine. 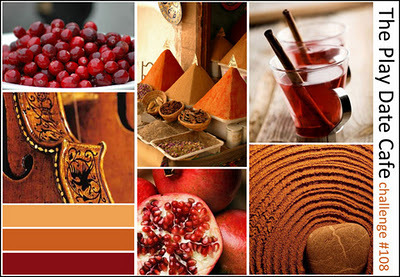 I hope your Thanksgiving was a great one (if you celebrated it!) and are well relaxed today. Our steaks did turn out excellent, by the way! I'm featuring the lovely stamp set Rustic Tiles from Skipping Stones Design in my card today, on sale for just a few more days! 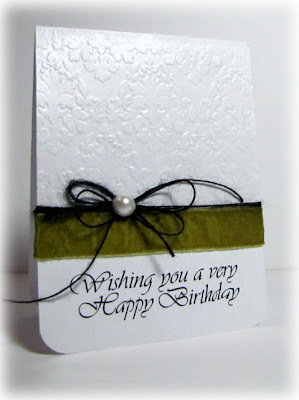 I love this stamp set, because the tiles can be delicate and soft, charming and quaint...or bold and beautiful! 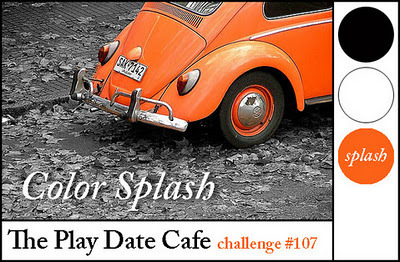 I chose the colors based off the palette over at The Play Date Cafe. Started with the gold base and panel, stamped the panel in deep red and then misted with orange. 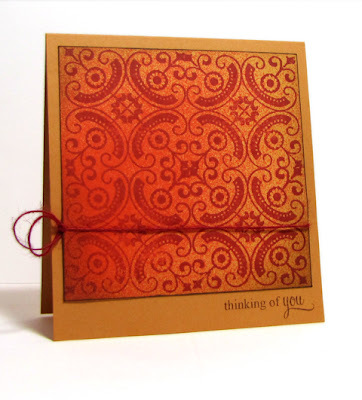 A bit of inking on the edges and a stamped sentiment, along with a fun, simple fiber treatment and you've got a bold, rustic card. And since it is Black Friday after all, what a better time than to showcase this card and corresponding sketch featured over at the Scrap Rendez-vous Blog. I'm delighted to be a guest sketch artist again! "Well, a friend never bends or pretends when a friend is in need. So depend on a friend who's a friend to his friend indeed. No a friend never bends or pretends when a friend is in need so depend on friend who's a friend indeed." 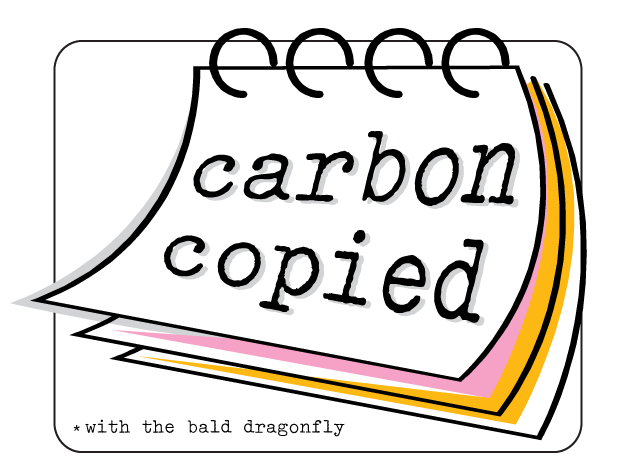 The talented Chunyuan from Dahlia Memories has delightfully joined me today in a Carbon Copied post! 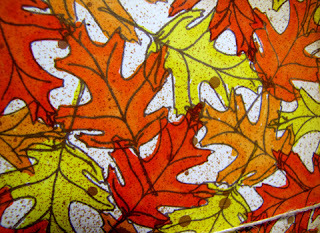 We are featuring Papertrey Ink's Modern Basics and participating in the Embellish Magazine's Color Trends Challenge: Leaves. I wanted to try out mists on kraft paper again, and kind of do a play on opposites, so I sprayed a kraft panel with green and then mounted that to a kraft card base. Then, on a scrap strip of paper I stamped the leaves in the purple/red and blue color. After that was attached to the card with dimensional adhesive, I wrapped the piece with some string to give it a more natural feel, it just seemed to provide another contrasting element. I am super excited to see what Chunyuan has, as I mentioned before she is wildly talented. Her designs are always so fresh and clean which is why I'm so inspired by her work. 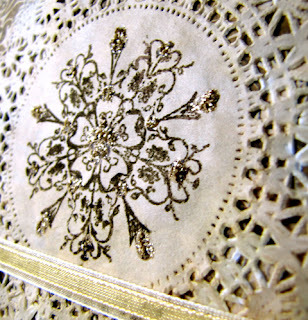 Please pop on by Dahlia Memories if you haven't done so already! Laverne and Shirley, Thelma and Louise, Lucy and Ethel, Kate and Allie, Cagney and Lacey, The Golden Girls...good ol' shows that brought to forefront trials and tribulations, successes and failures...friendships that stood the test of time. A good girlfriend will stand by your side no matter what. Yay! It's time for another Skipping Stones Design Sketch Challenge. I pulled out Birthday Purses and paper pieced one of the purses with the same paper used for the blocks. 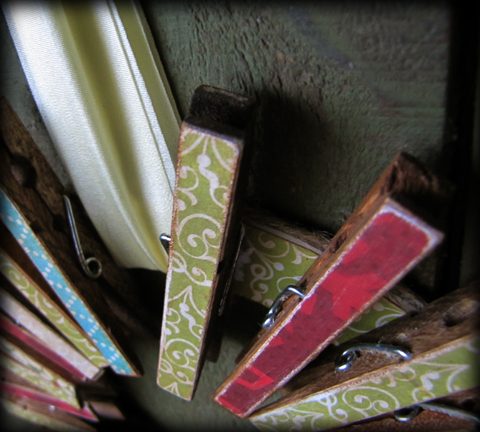 A Creative Impressions hardware piece tied with ribbon completes the look. This set is perfect for Moxie Fab World's Celebrating Relationships Challenge: National Girlfriend's Day. I just think the sentiment is so much fun and so true. There's great eye candy over at the blog, as well as rules and prize details! 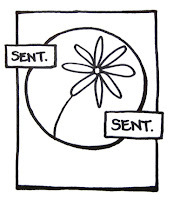 Are you with me when I say that sometimes when you are feeling blue it is nice to receive an encouraging email? Especially in this crafting/blogging community from a nice, talented and successful designer? Virginia is celebrating a big milestone birthday soon and I just wanted to wish her a very Happy Birthday because she is a sweetheart and totally deserves a great day! I remember that email from her. In fact, I still have it. 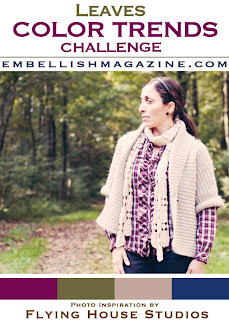 If you ever need a laugh or some great eye candy, stop by her blog, Yes, Virginia. 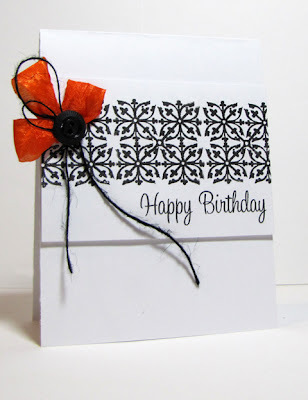 The inspiration for my card came from a photograph posted by another talented crafter and blogger, Barb from Kinsale Creations for a little challenge she is having. 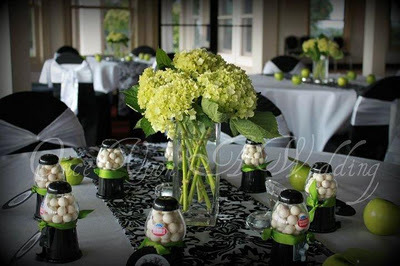 I was drawn to the colors, the damask and the overall sophistication and elegance of the place setting. 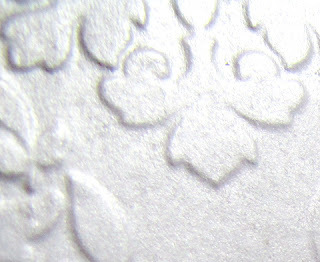 I chose to go with a damask embossed background panel for The Pink Elephant Challenge, but then decided that I needed to ramp up the embossing a little so I created my own shimmery paper. I love how it turned out! And, one other thing...May Arts has teamed up with Echo Park Paper this past week and I've got my take (and tutorial) on how to transform a common household item into a cool holiday display. I'd love for you to stop by, there are great prizes up for grabs too! When the yellow and orange leaves have mostly fallen to the ground and spots of blaze orange scattered throughout the woods can be seen, Thanksgiving can only be a few days away. It's one of my favorite holidays, one of the few that you can enjoy the day by being lazy with your family. The only things you really have to do is reflect on the many things to be thankful for and eat a large meal*, right? 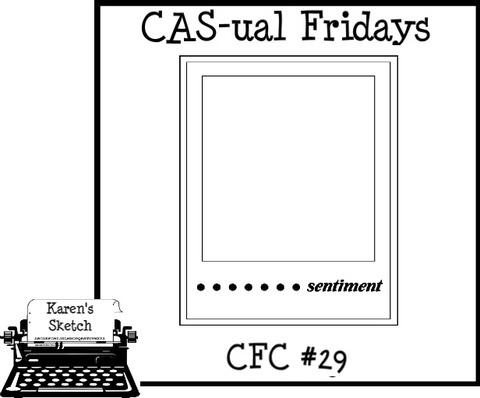 CAS-ual Fridays is back, this time with a two-week long competition that allows you to prepare yourself for the big meal and make your thanksgiving wish. The challenge is a sketch that I designed, so I hope that you will have a chance to play along! We are sponsored by Tradefish Designs. 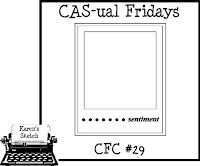 For more details on the challenge, to find out about the amazing prize and see beautiful inspiration from the Girl Fridays, please check out the CAS-ual Fridays Blog! 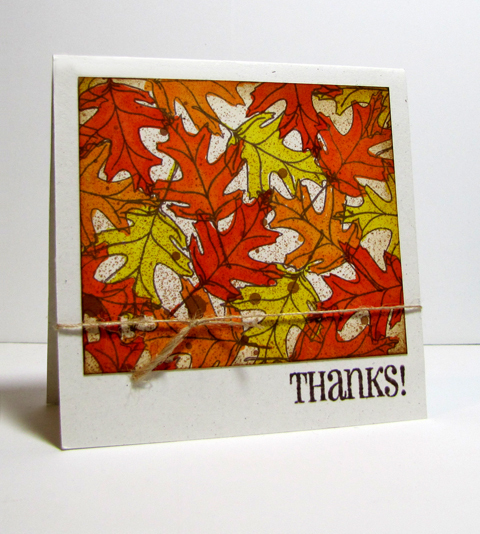 My card features the beautiful oak leaves from Got Leaves?. I stamped the leaves randomly and overlapped them as well onto a cardstock panel, and then colored each with a marker. A bit of misting and ink distressing the edges finished it up and then I attached it to the card base and tied some string. A stamped sentiment finished off the card. I can't help be thankful for the little things in my life this week, the sentiment reminds me that I should let others know that I appreciate them. Thanks, The Paper Variety, for calling this to mind today! This little guy is coming to work with me and will be hand delivered. I have a Tips and Tricks post up over at the Skipping Stones Design blog and they were so nce to let me share it here with you all too! Diving into the realm of three dimension is super simple and so easy! What a way to bring life to your static card or project! 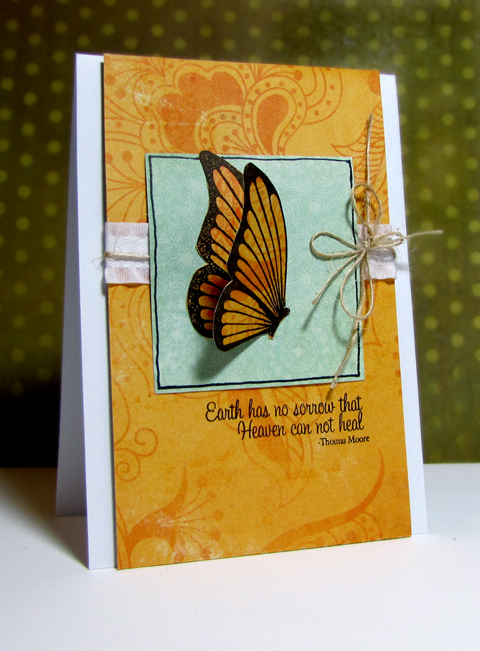 Skipping Stones Design offers many stamps transform into 3D so well, especially the small butterfly from Healing Wings. 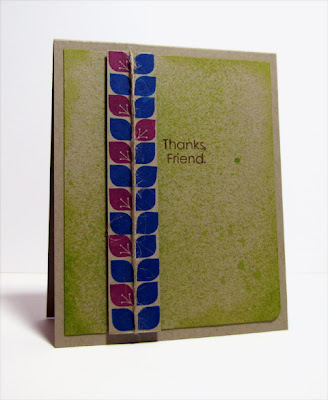 Start by stamping the image twice onto your patterned paper and fussy cut around the images. 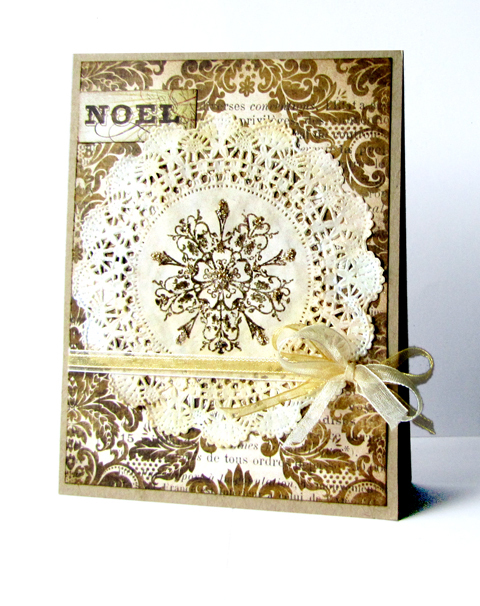 (You'll want to use heavy weight card stock or high quality patterned paper so you don't end up with a floppy image.) I lightly shaded one with markers as well-just for some added depth. This will be the back wing. 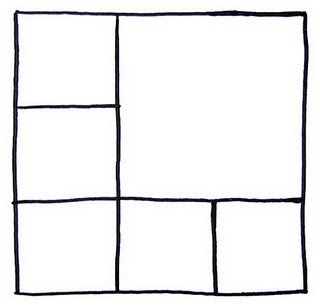 Then, adhere one image completely to another piece of paper. Fold a portion of the top image over slightly. 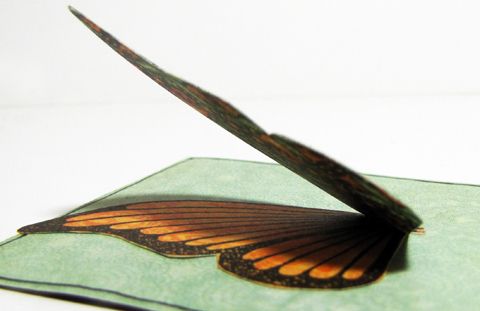 Next, glue the folded portion to your other image in relatively the same spot. You can shift the front image slightly for a more natural look. 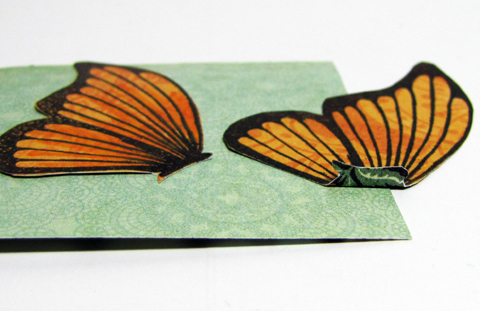 You'll end up with a lovely three dimensional butterfly by using only one stamp. 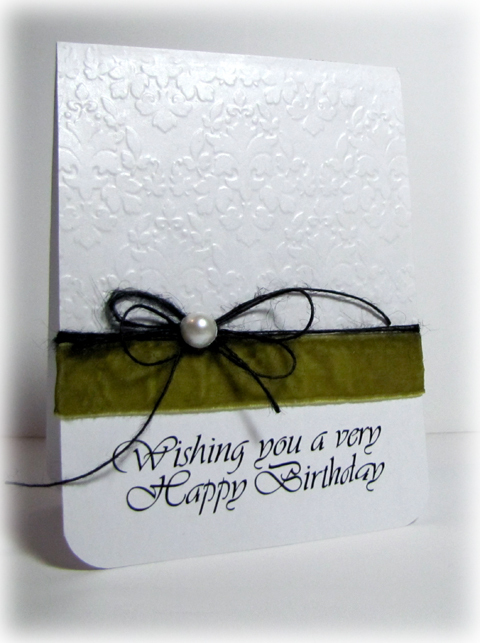 Complete your card with a few finishing touches. The sentiments from Healing Wings are perfect for a loss or traumatic life event. 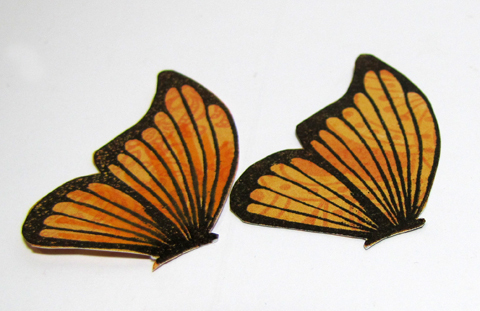 The butterfly is also so symbolic during these times, and the three dimensional trick brings a feeling of life, love and comfort. 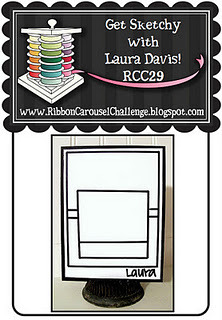 It's my first time playing over at The Ribbon Carousel and I am looking forward to participating again! I used some May Arts Ruffled Trim and Natural Burlap String to compliment the beautiful butterfly. This time it was a sketch, Laura always comes up with amazing sketches. 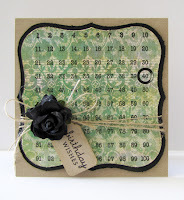 Ready for some hopping today featuring the loveliest of all lovelies of stamp sets, Rustic Tiles! 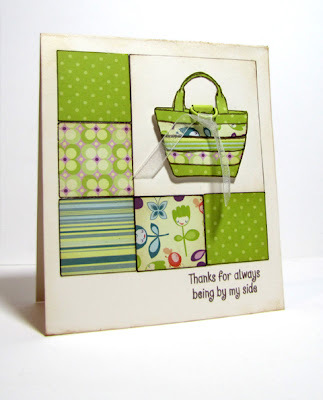 (Which also happens to be the featured Stamp Set of the Month over at Skipping Stones Design...) You should have arrived from Kandi's blog, or, if you need direction head on over Skipping Stones Design. 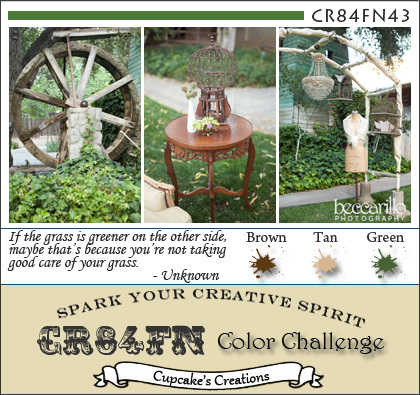 I used the great sketch from the Skipping Stone Design's weekly sketch challenge and the fabulous colors offered up by The Play Date Cafe. 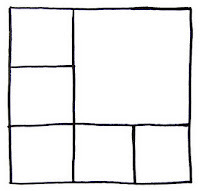 I stamped the tiles three across and on the third selectively stamped only a partial image. In its' place I tied a bow with some fabulous orange ribbon from Creative Impressions, a button and twine. 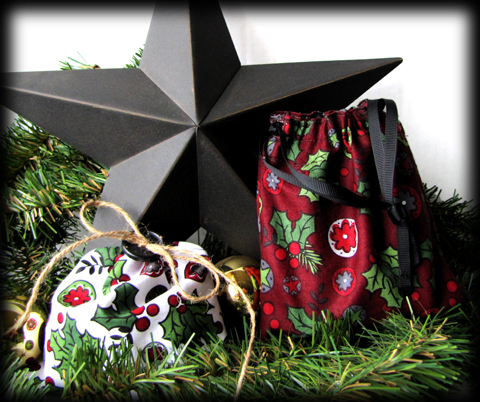 Your next stop on the hop is one of our guest designers, Jimmi! She has something really superb to show you!